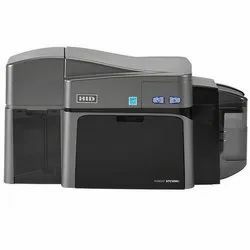 Prominent & Leading Manufacturer from Delhi, we offer smard card printer - fargo dtc1250e, zebra zxp series 3 - dual sided card printer and fargo dtc 1500 dual sided printer. Simple To Use Right Out of the Box – Easily set-up, load and operate the DTC1250e using its intuitive user-focused design. Create ID cards right out of the box. Wide Variety of Uses - Print on a variety of card thicknesses to create simple loyalty cards or photo IDs as thin as 9mm or high security access control badges as thick as 40 mm. DTC1250e even prints on CR79 Adhesive Back cards so you can customize your Clamshell proximity cards. Affordable and Earth-Friendly – Enjoy cost savings from the eco-friendly Energy Star Rating, as well as the DTC1250e’s erase and rewrite card feature, ideal for creating temporary ID cards, such as visitor badges. Customizable to Fit Your Needs – Choose single or dual-sided printing, magnetic encoding, and USB or Ethernet connectivity options in our online store. For more information on more complex coding options, contact an ID Expert at 877-868-0012. Print Anywhere, Anytime – Add a Wi-Fi accessory for your Ethernet-enabled DTC1250e, so you can operate your DTC1250e wirelessly. Control, Flexibility and Security – Integrate the optional iCLASS SE® encoder, allowing you to create, encode (read/write) and manage secure ID credentials from start-to-finish. Contact an ID Expert at 877-868-0012 for more details. Zebra ZXP Series 3 (ZXP3) card printer offers affordable ID and badge card printing for many applications, including financial card printing. 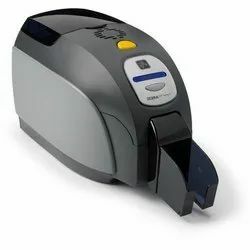 Zebra ZXP3 is powerful for its small size and price featuring standard USB, 32 MB memory, intuitive LCD display, 20 second per card print speed, Load-N-Go Ribbon cartridges, and two-year warranty. Optional Complete System and magnetic encoding are available for Zebra ZXP3. Card lamination module for applying overlaminates to produce highly secure and durable cards. A Wi-Fi® accessory allows you to conveniently print anywhere, anytime.